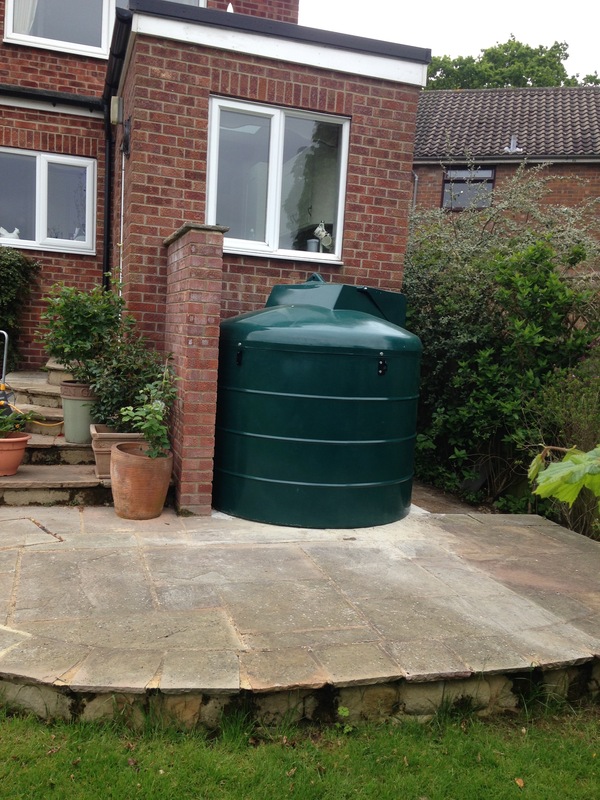 Below are before and after photos of a recent heating oil tank installation by NCR Plumbing and Heating in Ripon. 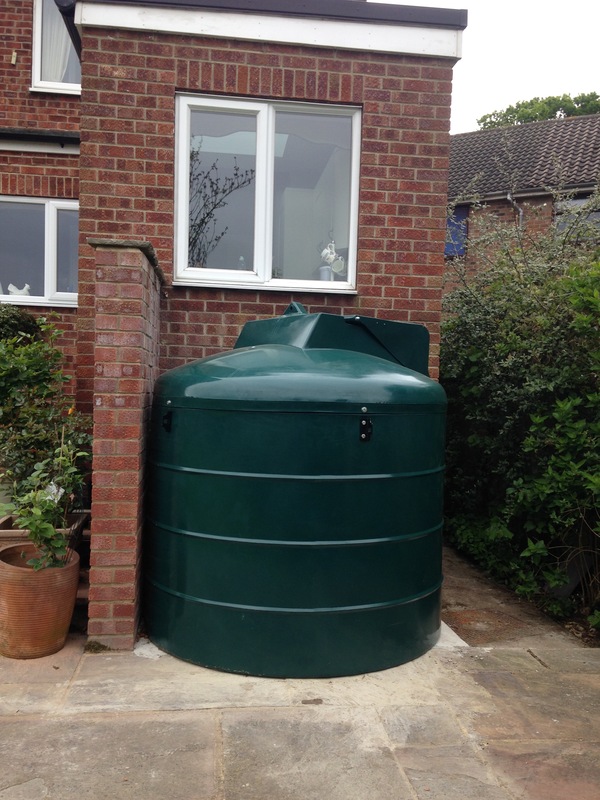 The new replacement tank installed is a 1200 litre bunded Tuffa Fire Protected Tank (1400VBFP/30) which has an integral 30 minute fire barrier built in. 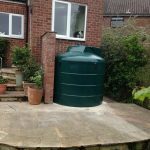 This barrier is what allows this tank to be installed in a position that would not normally comply with the appropriate regulations. 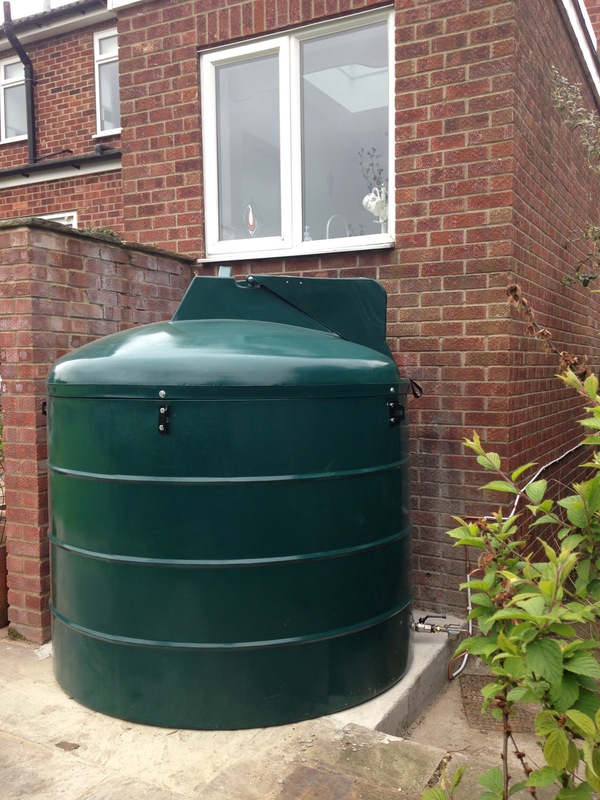 NCR removed the old end of life single skin tank and replaced with this better option which would ensure compliance. 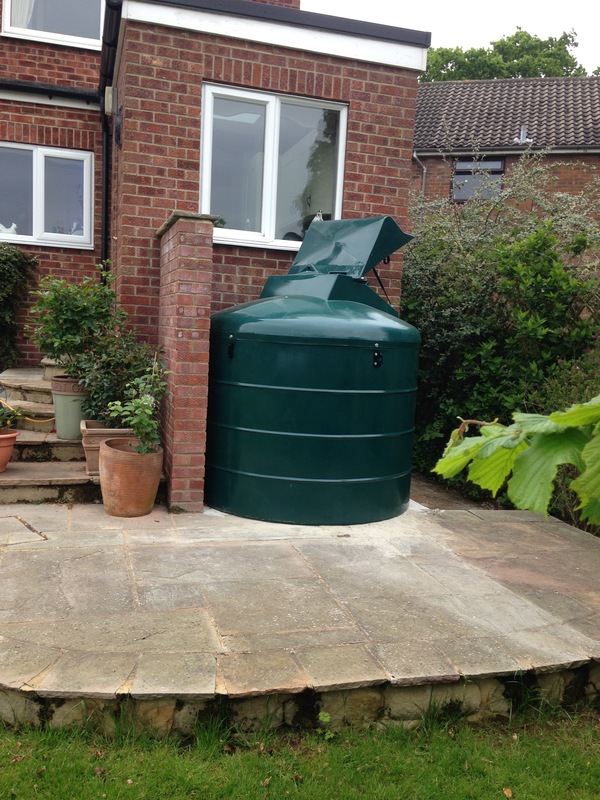 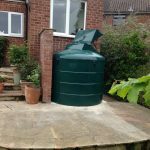 The Tuffa Fire Protected tank was manufactured in a Green colour which is popular with domestic clients and sited beneath a window and adjacent to the domestic property. 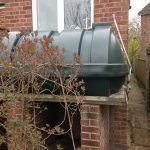 When replacing tanks or for any new tank installations, tanks need to be a minimum of 1800mm away from any combustible building – i.e. 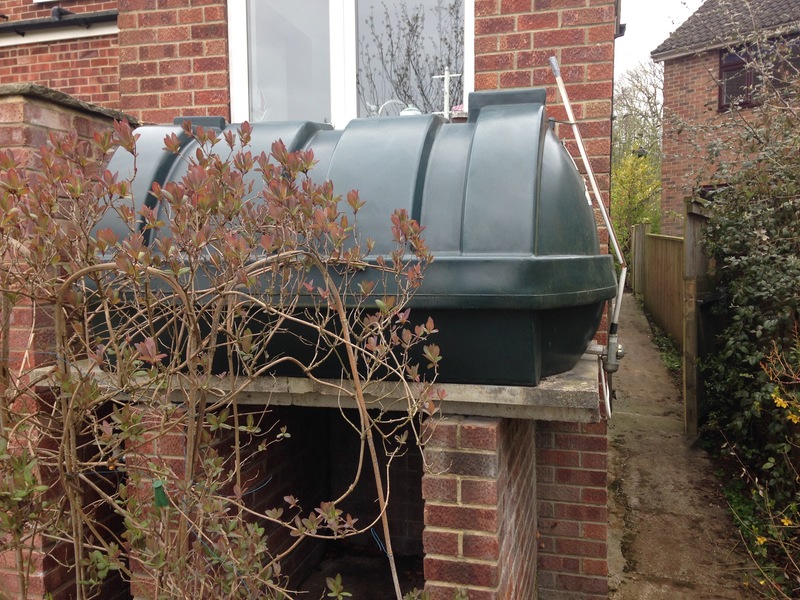 a timber building – or adjacent to a non-combustible building with a minimum of 30 minutes Fire Protection, as long as there are no openings within 1800mm from the eaves of the building. 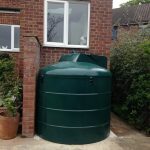 If openings are within 1800mm, these openings require a minimum of 30 minutes Fire Protection i.e door, window with 30 minute Approved Fire Protection. 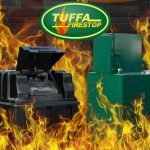 Fire Protected Tanks will negate the need for the above, this makes the Tuffa Fire Protected Tank range the ideal solution. 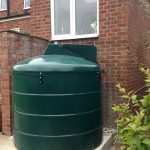 This range of tank can be installed and signed off by any competent person belonging to a competent person scheme which allows them to do so, including APHC. 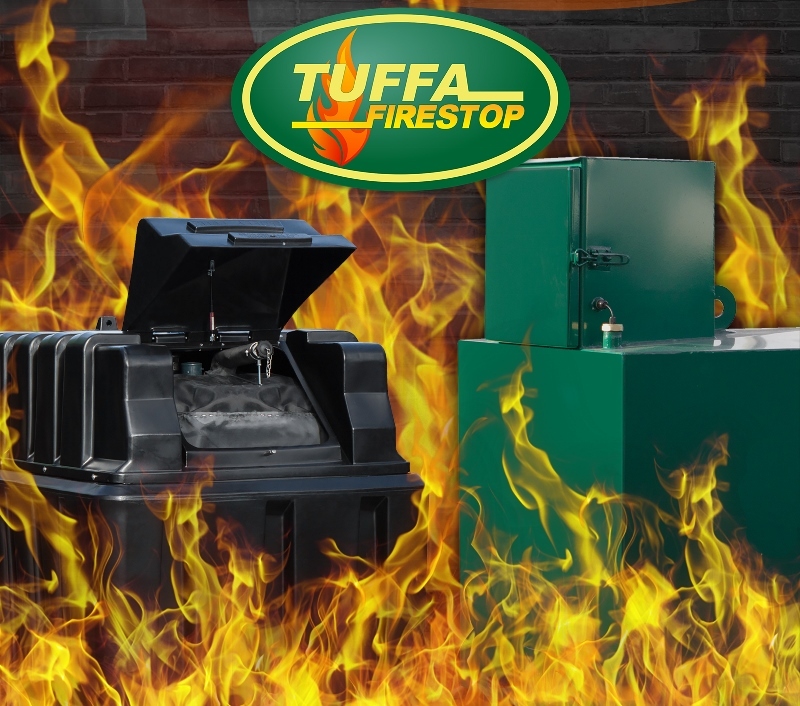 Find out more about the Tuffa Fire Protected Tank models on the website, or call or email our friendly and helpful sales team on 01889567700 / [email protected] Alternatively our sales team are available to speak to via online chat.